If you're getting started with a smart home setup or working on an upgrade, your wallet is probably feeling pretty light. 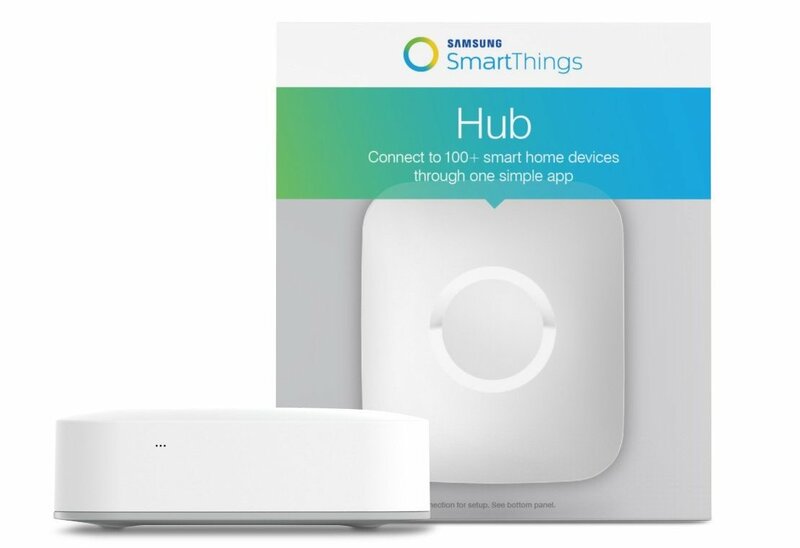 While you're still on your own for all the connected devices, Amazon has the best price we've seen on Samsung's SmartThings Hub at $79, $20 below the typical going rate. The hub sets up by simply running the included ethernet cable to your router. You can manage your devices via the free SmartThings Hub app. While I'm sure you would have expected it to work well with Samsung's smart home devices (it does), it also plays well with Honeywell, D-Link, Bose, Cree, and several other prominent manufacturers on the market. This is the current, 2nd-generation version of the SmartThings Hub. While some early reviews were less than satisfied, firmware updates have ironed out most if not all of the early adopters' gripes. The discount isn't a Gold Box deal, so it will not automatically go away at the end of the day. With that said, there's no telling how long the offer will last. If you've been dragging your feet over getting something like this, you should probably grab it before you have to spend another $20 to get it. Follow the source link to check it out.